Tesla is a good winter car in many ways, but there are a few things that might be useful to know if you find yourself driving in winter conditions. Set regernative braking to «low» to allow more control on slippery roads. If you still are about to slip, make sure that your car is not regenerating by carefully adding some speed to regain control. This applies mostly to rear wheel drive cars, but can be a good idea for all models. If it is cold, regenerative braking will be completely or partly disabled until the battery is warm enough to receive charge. In order for optimal charging, the battery needs to have a good temperature, approximately 30’C. If you plan to charge at your destination on AC on low amp, plug the car in as soon as possible while the battery is still warm after your days driving. If you start charging the car while the battery is cold, you will at first see no progress at all on charging, as all the energy will be put into heating up the battery first. 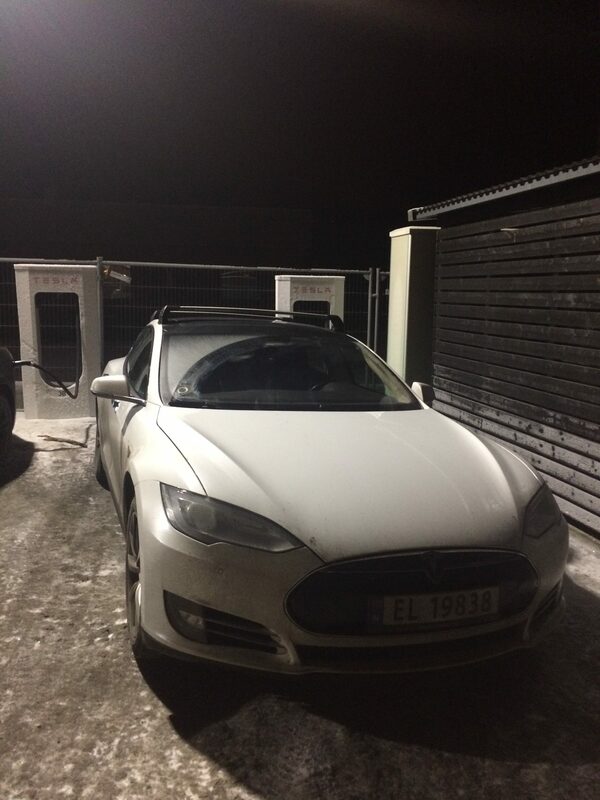 If it is cold enough, it can take several hours before charging starts. PS: The battery heater will not start if the car is in range-mode. 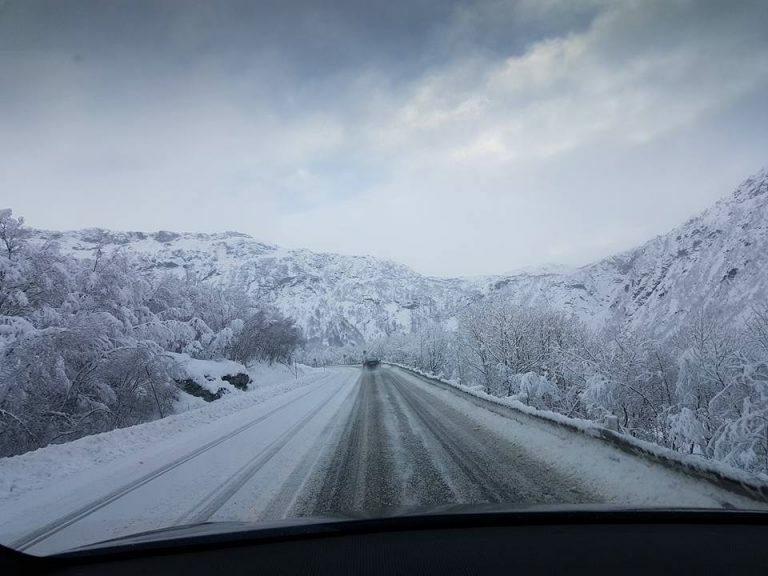 While driving in Norway during winter – you are required to have tires that are good enough to handle winter conditions. Nordic winter tires are recommended if available. They should have at least 4mm thread. New winter tires will normally have 7-8 mm. If it is really cold in the car and you need to heat it up quickly, double tap on the defrost button to get the temperature and fan to an immediate maximum. Tap it one more time to turn it off. Do you have heated side mirrors? The side mirror heat is activated when you turn on the rear window heater. Heated vipers can be nice, but be aware that it is only the section of the window where the vipers rest that will be heated. If it is snowing heavily, the heated vipers might melt the snow into ice. Heated seats and steeringwheel – very nice features – might save you some energy if you use these and turn down the temperature in the car. Preheating: If you turn on the climate from your mobile phone, you can see the temperature inside the car and be able to heat the car. If the car is not in range mode and the charge cable is plugged in, the battery heater will start to heat the battery. During winter, it occasionally happens that mountain passes have to close if there is a lot of snow or there are strong winds. Convoy is often used when the weather is too bad and the road cannot be kept open permanently in full width. 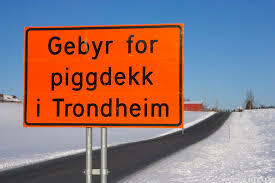 You will see a sign saying «kolonnekjøring» or «kolonne», and the road will be blocked. The convoy will start when a sufficient number of vehicles are present, and is always headed by a snowplough. Cars the snow plow driver thinks is not sufficiently prepared for the convoy will be denied to follow the convoy. The same applies if the vehicle does not have sufficient fuel / battery capacity. If conditions are bad, consider if there are other routes leading to your destination, or you can cancel / postpone the journey. Allow enough time. Do not be in a hurry when you plan to cross the mountains in winter. 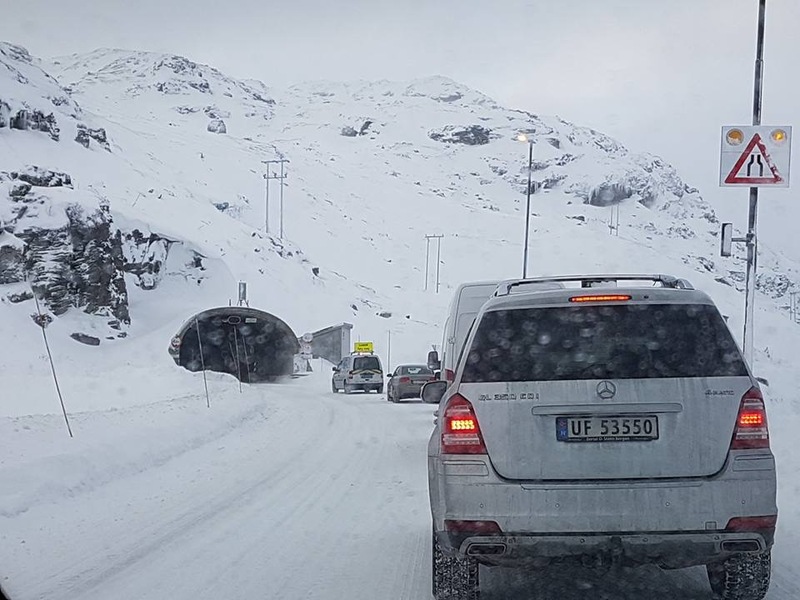 Worst case, the mountain pass is closed when you get there, and you have to wait a number of hours for the convoy to start. Have good tires with good tread. Have enough battery power to get over the mountain, but also be able to sit and wait a few hours in «idle». An hour with a TMS in «idle» with heater, will consume approximately 7 km range. The difference in height (up) will take a few km range in addition to the actual driven km. Heated seats and heat on the windows saves more power than if you run full air conditioning. Do not expect to gain much on regenerative braking on your way down. Get enough rest. It is easy to do a vrong maneuver if you’re tired and worn out. Have adequate clothing available in the car(. It is smart to bring blankets in case you have to wait for the convoy to start or something else happens. A convoy driving can be challenging. Keep adequate distance, but not too long either, making it too far of a distance to the car ahead. Let someone know where you are going and tell them when you will be home. Notify when home. Shovel, snowchains and some window washer liquid.